Once upon a time before all of this imperial ale in a bourbon barrel with a twist of vanilla. Before there was breakfast stouts and dragons. There was this a barley wine styled ale brewed with the upmost of care. Made back in 1983 in Chico, California by Ken Grossman and crew. Every batch of this gem has a bit of the original 1983 batch floating around in it. It’s strong at a nice heavy 9.6% older editions have peaked at nearly 11%. This has no bells or whistles for the weak hearted. It’s a malty hopped out beast. I plan to stow one of these babies away for future drinking. I lucked out and found this hiding at a local liquor store nearly a year out of cycle. If you never had this please be on the lookout for the 2019 version. 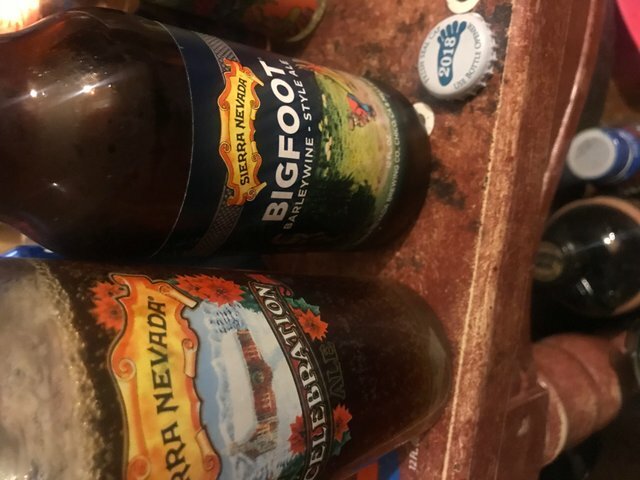 It’s a beer you definitely want to try if you never see it again like the mystical beast it’s named after.